Rick (402)-276-7513 -or- Tom (402)-276-1409 Thanks! 1999 Trail Lite 5th. Wheel M#5240 Sleeps 6! Hard sides, New Hot Water heater! Cold A/C! Everything is in good working condition! Weighs 4,395# unloaded. or to schedule a time to view this camper. Thanks for looking! a time to view. Thanks for looking! time to view this awesome camper! 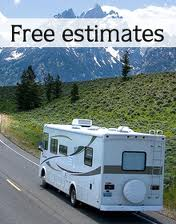 We're here to serve your camping & RV needs! part you may need! Please call us with any questions! schedule a viewing. Thanks again for shopping with us! 2006 Jayco 5th. Wheel M#281RLS Rear Living, Windows!! 2 Swivel rockers in rear with lots of windows! questions or to schedule a time to view. Thanks for looking! (4O2)-276-7513 -or- Tom (4O2)-276-14O9 with questions or to schedule a time to view. with questions or to schedule a time to view. Thanks for looking! S10 Call Tom (4O2)-276-14O9 -or- Rick (4O2)-276-7513 with any questions!! queen master bedroom, glass shower enclosure, ready to go camping! Everything works as it should! to schedule a time to view. Thanks for looking! (4O2)-276-14O9 -or- Rick (4O2)-276-7513 with questions or to schedule a time to view. (4O2)-276-7513 with questions or to schedule a time to view. Thanks for looking!! $5,950.00 C32 Call Tom (4O2)-276-14O9 -or- Rick (4O2)-276-7513 with any questions or to schedule a time to view. (4O2)-276-7513 with any questions or to schedule a time to view. Thanks for looking! (4O2)-276-14O9 -or- Rick (4O2)-276-7513 with questions or to schedule a time to view. Thanks for looking! $16,950.00 S70 Call Tom (4O2)-276-14O9 -or- Rick (4O2)-276-7513 with questions or to schedule a time to view. 2004 Forest River Wilderness 5th. Wheel M#365BSQS 4 Slides!~! Rear living with fireplace Dual swivel rockers! Lots of counter space in kitchen along with a table & chairs set. Front master bedroom with glass shower enclosure! manual, Also has front queen bed slide out front manual. All move very easily as they should! -or- Rick (4O2)-276-7513 with questions or to schedule a time to view. with full bath. Front queen master bedroom with full bath. Central living & kitchen, Has LCD in living room! only $24,950.00 S5 Call Tom (4O2)-276-14O9 -or- Rick (4O2)-276-7513 with questions or to schedule a time to view. Call Tom (4O2)-276-14O9 -or- Rick (4O2)-276-7513 to schedule a time to view. $6,950.00 Call Rick (4O2)-276-7513 -or- Tom (4O2)-276-14O9 with questions or to view this clean unit! $10,950.00 S48 Call Tom (4O2)-276-14O9 -or- Rick (4O2)-276-7513 to schedule a time to view. Booth dinette fold into a bed, Jack knife sofa folds into a bed. front queen bedroom. (4O2)-276-14O9 -or- Rick (4O2)-276-7513 with questions or to schedule a time to view! kitchen/dining, Front King master bedroom! Everything is in good working condition! Too many options to list them. Priced at only $18,950.00 S97 Call Tom (4O2)-276-14o9 -or- Rick (4O2)-276-7513 with questions. Ready to go! Tom (4O2)-276-14O9 -or- Rick (4O2)-276-7513 with questions or to schedule a time to view. single over double bunks, Booth dinette folds into a bed as well as the sofa! S27 Call Tom (4O2)-276-14O9 -or- Rick (4O2)-276-7513 with questions. only $12,950.00 C49 Call Tom (4O2)-276-14O9 -or- Rick (4O2)-276-7513 with questions. entertainment center. Central kitchen/dining. Rear queen bedroom, tons of storage throughout! Call Tom (4O2)-276-14O9 -or- Rick (4O2)-276-7513 with questions! Thanks for looking! central living/dining with booth diette and a sofa that fold into beds, Front queen bedroom. Call Tom (4O2)-276-1409 -or- Rick (4O2)-276-7513 with questions, Thanks for looking! Fridfe/Freezer, Stove W/Range Cooktop, Microwave, Double Stainless Sink! Everything works great! Priced at only $9,950.00 S33 Call Tom (402)-276-1409 -or- Rick (4O2)-276-7513 Thanks for looking! (4O2)-276-7513 with questions or to schedule a time to view. Thanks for looking! Priced at only $7,950.00 C37 Call Tom (4O2)-276-14O9 -or- Rick (4O2)-276-7513 with questions. 2014 Keystone Passport Grand Touring Series Ultra Lite! Travel Trailer M#2510RB Nice! Front queen bed, central living/dining, Rear bathroom. Very nice camper inside and out! $18,500.00 S5 Call Tom (4O2)-276-14O9 -or- Rick (4O2)-276-7513 with any questions. 2004 Forest River Rockwood 5th. Wheel M#8286SS Tons of storage! Large rear bath with glass shower closure! Cabinets and drawer storage throughout the entire unit! White interior! Central living/dining. Front queen bedroom! $10,950.00 S33 Call Tom (4o2)-276-14o9 -or- Rick (4o2)-276-7513 with questions. Thanks for looking! central living/dining, large rear bath with storage. Everything is in good working condition! Tom (4o2)-276-14o9 -or- Rick (4o2)-276-7513 with questions, Thanks for looking! 1973 Jayco Warbler Travel Trailer 18' Sleeps 6! Light easy to tow! C40 Call Tom (4o2)-276-14o9 -or- Rick (4o2)-276-7513 Thanks for looking! the family in! Everything is in good working condition! Weighs 6300# unloaded and is 33ft in length. Priced at only $15,710.00 C60 Call Tom (4o2)-276-14o9 -or- Rick (4o2)-276-7513 with questions. Deep Cycle Battery, New Tires. Has 2 TV's, Mobile Satelite Tail gator & Tripod, Party lights.... Even comes with the 5th. Rick (4o2)-276-7513 with questions or to schedule a time to view. Thanks for looking! C25 Call Tom (4o2)-276-14o9 -or- Rick (4o2)-276-7513 with questions. Thanks for looking! (4o2)-276-14o9 -or- Rick (4o2)-276-7513 with questions, Thanks for looking! Tom (4o2)-276-7513 -or- Rick (4o2)-276-7513 with questions. Thanks for looking! only $7,950.00 S12 Call Tom (4o2)-276-14o9 -or- Rick (4o2)-276-7513 with questions. Rear & Side Awnings, 6cu. ft. fridge. Unloaded weighs 2618# Everything works as it should! Rick (4o2)-276-7513 with questions. Thanks for looking! 1998 Keystone Sprinter 5th. Wheel M#27RK Clean camper inside and out! Ready to go camp in today! only $8,950.00 C25 Call Tom (4o2)-276-14o9 -or- Rick (4o2)-276-7513 with questions. Thanks for looking! C41 Call Tom (4o2)-276-14o9 -or- Rick (4o2)-276-7513 with questions. Call Tom (4o2)-276-14o9 -or- Rick (4o2)-276-7513 with questions. Call Tom (4o2)-276-14o9 -or- Rick (4o2)-276-7513 with questions. Thanks for looking! 2017 Keystone Montana 5th. Wheel M#3911FB Luxury! Huge Master Bath! Dynamic floor plan!! 4 season camping! (4o2)-276-14o9 -or- Rick (4o2)-276-7513 with questions! Thanks for looking! Tom (4o2)-276-14o9 -or- Rick (4o2)-276-7513 Thanks for looking! Tom (4o2)-276-14o9 -or- Rick (4o2)-276-7513 with any questions. Thanks for looking! are in great condition! as well as screens! Cold A/C, everything is in good working condition! Call Tom (4o2)-276-7513 with any questions. Tom (4O2)-276-14O9 Rick (4O2)-276-7513 with questions or to schedule a time to view/drive this wonderful coach! 2005 Georgie Boy Landau LE Motorhome 2 slides, Genset, L@@K! Large living/Dining slide, with bedroom slide out! condition. Priced at only $49,950.00 Call Tom (4o2)-276-14o9 with questions, Thanks for looking! sink cover, Fridge & microwave, Manual patio awning... Everything is in good working condition! Call Tom (4o2)-276-14o9 -or- Rick (4o2)-276-7513 with any questions or to schedule a time to view. Call Tom (4o2)-276-14o9 -or- Rick (4o2)-276-7513 with questions or to schedule a time to view. at only $33,950.00 H95 Call Tom (4o2)-276-14o9 -or- Rick (4o2)-276-7513 with questions. Thanks for looking! with central bath with glass shower enclosure. Front Living are with kitchen. Overall length is 28ft. at only $22,950.00 C57 Call Tom (4o2)-276-1409 -or- Rick (4o2)-276-7513 with questions. rear bedroom with separate entrance door. Everything is in good working condition! (4o2)-276-14o9 -or- Rick (4o2)-276-7513 with any questions or to schedule a time to view. Thanks for looking! dining/kitchen, Front queen bedroom. Very solid camper! Everything is in good working condition! $8,950.00 Call Tom (4o2)-276-14o9 -or- Rick (4o2)-276-7513 with questions, Thanks for looking! $14,950.00 C53 Call Tom (4o2)-276-14o9 -or- Rick (4o2)-276-7513 with questions. Thanks for looking! controller! Overall length is 31ft, Height 10' 11" has a 55ga fuel tank and hold 37ga of fresh water. Priced at only $19,950.00 Call Tom (4o2)-276-14o9 -or- Rick (4o2)-276-7513 Thanks for looking! living/dining with large super slide out, Rear bunks and Full bathroom. Brand new awning! S37 Call Tom (4o2)-276-14o9 -or- Rick (4o2)-276-7513 with any questions. Thanks for looking! living/dining, Large rear queen bedroom! Very clean inside and out! Everything is in good working condition! Tom (4o2)-276-14o9 -or- Rick (4o2)-276-7513 with questions. Thanks for looking! Call Tom (4o2)-276-14o9 -or- Rick (4o2)-276-7513 with questions, Thanks for looking! interior, Bath/Shower combo with sliding glass doors, Front King master=bedroom with a slide out, large closet,. (4o2)-276-14o9 -or- Rick (4o2)-276-7513 with any questions. Thanks for looking! Call Tom (4o2)-276-14o9 -or- Rick (4o2)-276-7513 with any questions. Thanks for looking! Tom (4o2)-276-14o9 -or- Rick (4o2)-276-7513 with any questions, Thanks for looking! 2014 Gulfstream Innsbruck Park Model Travel Trailer M#408TBS is 40ft in length and has 3 slide outs! unloaded and is 31ft in length. Priced at only $21,950.00 Call Tom (4o2)-276-1409 with questions. living/dining, Front queen bedroom. Weighs 7,016lb unloaded and is 30ft in length. (4o2)-276-14o9 -or- Rick (4o2)-276-7513 with any questions, Thanks for looking! booth dinette & jack knife sofa fold into a bed. Large tub/shower combo, Front queen bedroom. kitchen with a Large living/dining slide out, Front queen bedroom. Sleeps 10. Has new fridge! and bath. Everything is in good working condition! Unloaded weighs 9999lb and is 36ft in over all length. C6012519 Call Tom (4o2)-276-14o9 -or- Rick (4o2)-276-7513 with questions, Thanks for looking! 2 opposing slide outs (kitchen slide & sofa/dinette slide) make for a large living/dining area. Front queen bedroom, has tub/shower combo. Everything is in good working condition! C25030119 Call Tom (4o2)-276-14o9 -or- Rick (4o2)-276-7513 with questions, Thanks for looking! C25030119 Call Tom (4o2)-276-14o9 -or- Rick (4o2)-276-7513 with questions. Thanks for looking! S2022819 Call Tom (4o2)-276-14o9 -or- Rick (4o2)-276-7513 with questions. Thanks for looking! Call Tom (4o2)-276-14o9 -or- Rick (4o2)-276-7513 with any questions. with questions. Thanks for looking! (4o2)-276-7513 with questions, Thanks for looking! Tom (4o2)-276-14o9 -or- Rick (4o2)-276-7513 with questions. More pictures on our website! Thanks for looking! any questions! Thanks for looking! Rick (4o2)-276-7513 with any questions. S3040319 Call Tom (4o2)-276-1409 -or- Rick (4o2)-276-7513 Thanks for looking! front queen bedroom. Power awning, Rear luggage platform that can be folded up. Nice camper! (402)-276-14o9 -or- rick (4o2)-276-7513 with questions! Thanks for looking! Tom (402) 276-1409 -or- Rick (4o2)- 276-7513 with questions. Thanks for looking! (4o2)-276-7513 with any questions. Thanks for looking! C3041819 Call Tom (4o2)-276-14o9 -or- Rick (4o2)-276-7513 with any questions!